Why does the institution of marriage exist, and what role does it play in human life and societies? Why does the institution of marriage exist, and what role does it play in human life and societies? Sadhguru answers a question about marriage and divorce. Sadhguru: No, no, they are two different things (Laughter & Applause). Questioner: Yes, she is around. 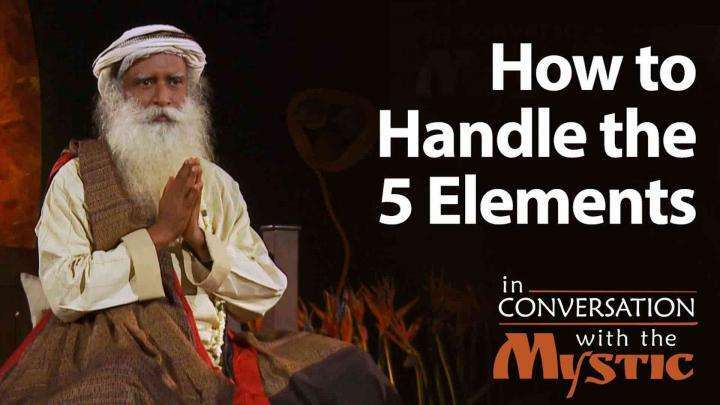 Sadhguru: No that… you know because I want to determine the genuineness of the question (Applause). Questioner: Yeah (Laughs), she’s around, yes she is in the hall. Sadhguru: It’s okay with her. Questioner: Yeah. So there were many occasions where I felt like you know divorce or suicide and all that but then the life has been a wonderful experience for me when I really fell in love in the terms what you described but what I see today is many youngsters like many of them they don’t want to marry and few of them who marry there are occasions where they are getting divorced; so would you like to throw some light on this situation Sadhguru? Sadhguru: What you intended they are successful (Laughter & Applause). See, you need to understand the institution of marriage. One thing is as we said a little while ago it’s about bringing a certain sanctity to the simple basic needs that every human being has. I will repeat there are physical needs, there are psychological needs, there are economic needs, emotional needs, social needs, variety of needs. To fulfill all these things we set up an institution called marriage where all these can be conducted in a sensible manner, otherwise if we did it on the streets like every other creature it would turn ugly for us. And we will feel not good about it. So, s… to bring some sense of organization, some aesthetic, some stability, because man and woman coming together naturally brought fresh life. The nature of human life, the nature of human offspring is such that because of the possibilities that a human being carries, it is... compared to any other creature, it is the most helpless life which needs maximum amount of support. You could leave a puppy on the street; as long as he gets food, he grows up into a good dog, no problem. But not so with a human being; he doesn’t need just physical support, he needs variety of support and stab… above all the stable situation. Whether there should be marriage in society or not - one will debate when they are eighteen because physical body is asking for freedom, all right. At that time everybody questions – is marriage really needed, why can’t we just live whichever way we want? But when you are three years of age you valued marriage immensely, a stable marriage immensely. Isn’t it so? Yes or no? Sadhguru: Not yours, your parents. Juhi Chawla: The parents, yes (Laughter). Sadhguru: When you were three, four of yours… three, four years of age you’re one hundred percent for marriage again when you become forty-five, fifty again you’re hundred percent for marriage between and eighteen and thirty-five you’re questioning the whole process (Laughter & Applause), okay? Juhi Chawla: That’s true (Laughs). 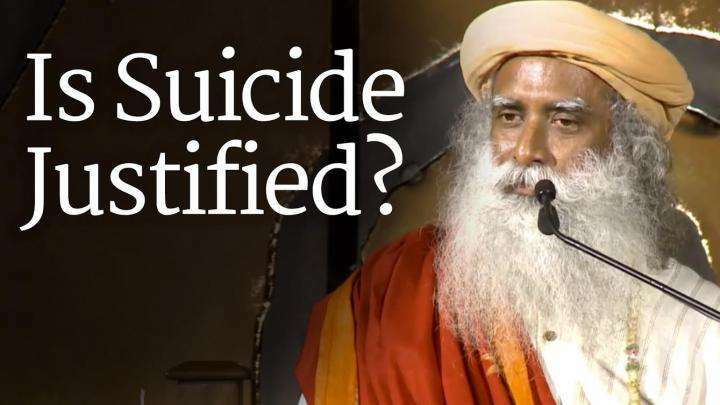 Sadhguru: Because where the physical body is dominant, at that time if you give in to that then it will question every institution. You will… this is… this is hormone fired freedom okay (Laughter). Your intelligence has been hijacked by hormones, so you question the fundamentals of everything. I’m not saying marriage is the thing but do you have a better alternative? If you have a better alternative, damn the marriage but you have not come up with a better alternative because a stable situation is a must for a child. Once you have a child it’s a twenty year project (Laughter), okay? That is if they do well, if they don’t do well it’s a lifelong project (Laughter & Applause). So if you want to get into such projects at least twenty years there must be a commitment to create a stable situation. Your whims and fancies will change, your emotions will change; if that is what it is, don’t get into such situations. It’s not compulsory for everybody to get married, it’s good young pe… you were saying people are thinking whether to get married. I’m glad it is not necessary for everybody but if you get into it and if you… especially if you get into children you must understand, it’s a minimum twenty year project whether you like it or you don’t like it. Otherwise you shouldn’t get into those projects, you don’t walk into a project, drop it half way and walk away, isn’t it? Sadhguru: If you don’t like it don’t start the project, go for short term projects (Laughter & Applause). I’m saying they have their benefits and they have their problems, yes? They have their benefits and they have their problems. It’s your choice but at least choose consciously. You don’t have to get married because everybody is getting married, you don’t have to talk about marriage and divorce in same breath as if they come together (Laughter). This is a completely an American idea, you’re thinking of marriage and divorce together nobody thought of divorce in this country till recently, isn’t it? Sadhguru: So, if it happens, if something happens… something entirely went wrong and no way to fix two people and they went apart, that’s unfortunate and it’s happened. Why should you ever talk about marriage and divorce in one breath? It’s… it’s a crime. It’s really a crime to think on those lines. But if it so happens something truly went wrong between two people and they have to separate that will any way inevitably happen. You don’t have to plan it at the time of wedding (Laughter). Is Suicide Ok When You Have a "Bad Deal"? The Key to Success: Pay Attention! 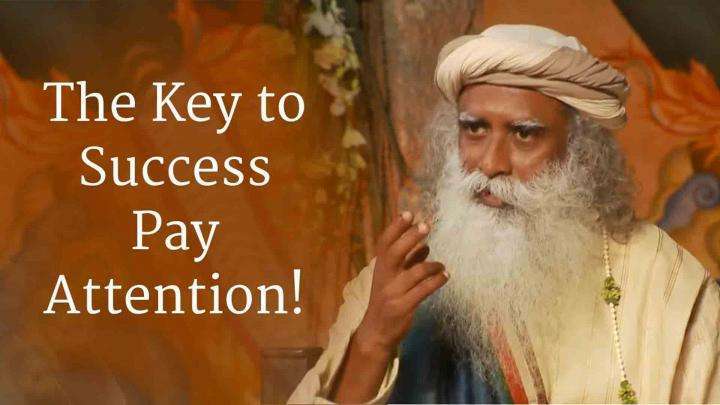 Sadhguru elaborates on the power of attention, and how being attentive can be the key to unlocking success.